What is Nemuer? How did Nemuer come to existence and what is Nemuer’s origin? What is the meaning of the word and the project Nemuer? In this volume of our fullmoon blog, we are going to answer all of those questions. 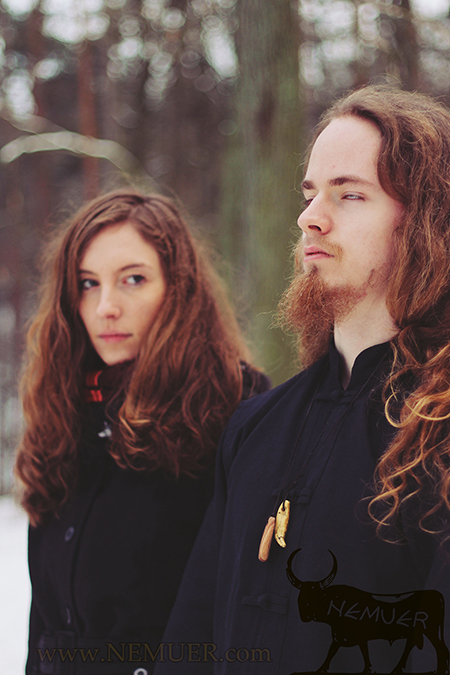 Nemuer is an atmospheric dark folk duo from the Czech Republic founded by Michael Mist and Katarina Pomorská. Since 2014 we have been making music based on minimalism and strong immersive atmosphere of the mystical dreamy fantasy world with grim yet melancholic feeling. It is directly interconnected with Michael’s upcoming book. Grim captivating tones of acoustic guitar, primordial chanting, female soprano, traditional and unique instruments, and unusual harmonies. It all deepens the fantastic experience from the novel, and the novel deepens the experience from the music. Having background in manifold genres ranging from classical music, jazz, and funky to death metal, Michael had many ideas concerning the music very early on. 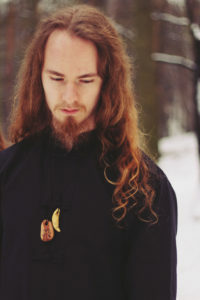 But just when Katarína joined him and the connection with his book started making sense, Nemuer’s concept along with a whole new music genre was formed. Hence all the mystical thoughts and feelings could finally blend together into one cohesive and utmost fulfilling form. What is the meaning of the word Nemuer? Nemuer, also called Merwer or Mnevis (Greek), is the name of a sacred ancient Egyptian bull deity worshipped at Iunu (Greek Heliopolis, the city of the Sun). 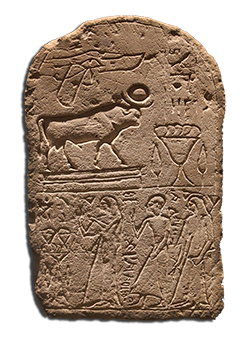 The Bull of Iunu was already mentioned in the Pyramid Texts. According to the Coffin Texts he has been helping dead people to get into Heaven. He was associated with Re and Atum, as their ba – the spokesman, the messenger. His role was to be the mediator between the sun god and humans (like Hermes in ancient Greece). 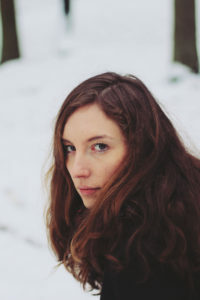 By connecting the book with music (one music album per each chapter) we strive to immerse the listeners into the world of dark fantasy, eerie dreams, and mystical atmosphere and give them a singularly intense experience. Our music is not only about the specific stories from the book though! It is as much as important to emphasize that its real power lies in an endless range of interpretations that varies from person to person. In different people it arises different emotions and thoughts. While for some people it brings seemingly forgotten memories of distant dreams, it helps others in their creative work. Some of our listeners told us it helps them think, as it is so relaxing, while others find our music too dramatic or melancholic to fully relax. Sometimes we come across to total lack of understanding. Some people even feel uneasy when listening to our music. We can only assume that it is because they are not used to be alone with themselves and their own mind. Because after all, it is where our work ultimately leads us–to our inner self, be that by reviving old dreams or by arising new ideas. We love everything that feels unusual, strange or in a way transcending, and we want to share it with you! Do not spend much time trying to understand it. Just listen and immerse in the atmosphere together with us! 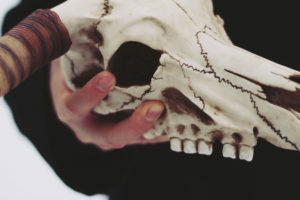 If you have not read it yet, check out our previous full-moon blog post How did atmospheric dark folk come into existence?. Next fullmoon blog post is “scheduled” for January 2017.